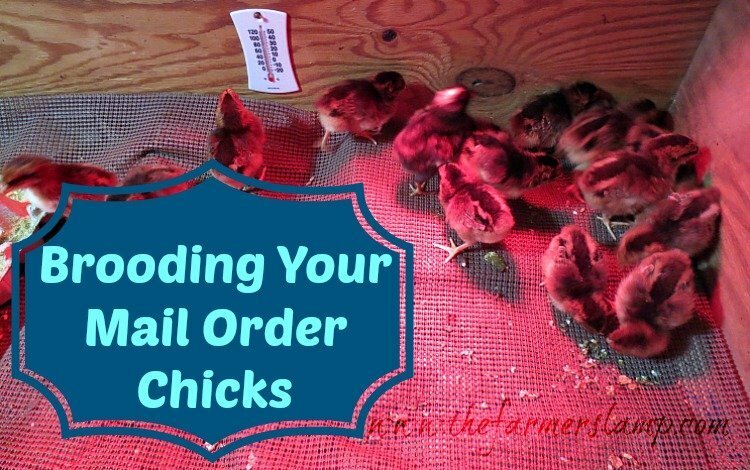 Caring for your mail order chicks is very different from setting your own hens, but it doesn’t have to be intimidating. We’ll show you everything you need to know and have ready for them so that you’ll have a successful brooding experience. Before your chicks arrive, there are some basic things you need to have ready and waiting. The first thing you want to do is be sure they’re warm. This is the main purpose of the brooder. Your brooder can be pretty much any setup you want just be sure there are no drafts, it’s able to hold a uniform temperature, and there’s good ventilation. I’ve seen homemade brooders ranging from cardboard boxes to plastic kiddie pools to elaborate, expensive setups. My own brooder was given to me many years ago by an older chicken owner. 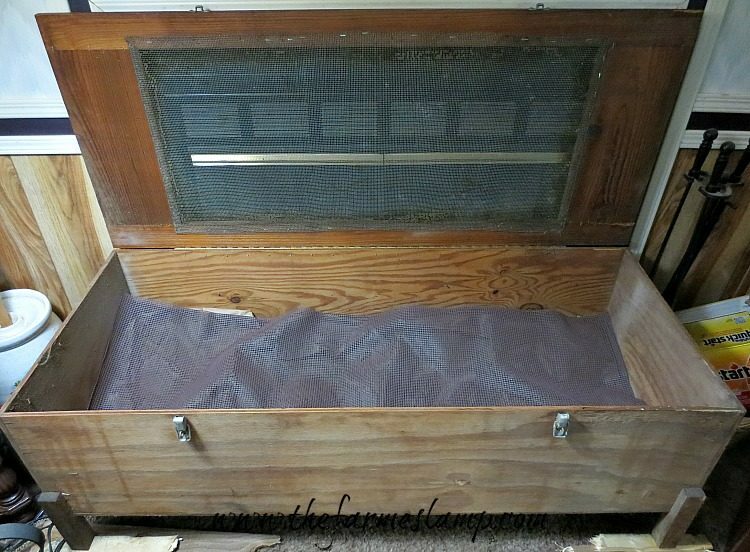 The old-timers would often put their chicks by the wood stove in a galvanized tub to warm them. I use a 250W infrared bulb suspended 12 to 18 inches above the floor of my brooder. Several times a day, I place a thermometer at the edge of the heat circle created by the heat lamp. The ideal temperature should be 90-95°F. 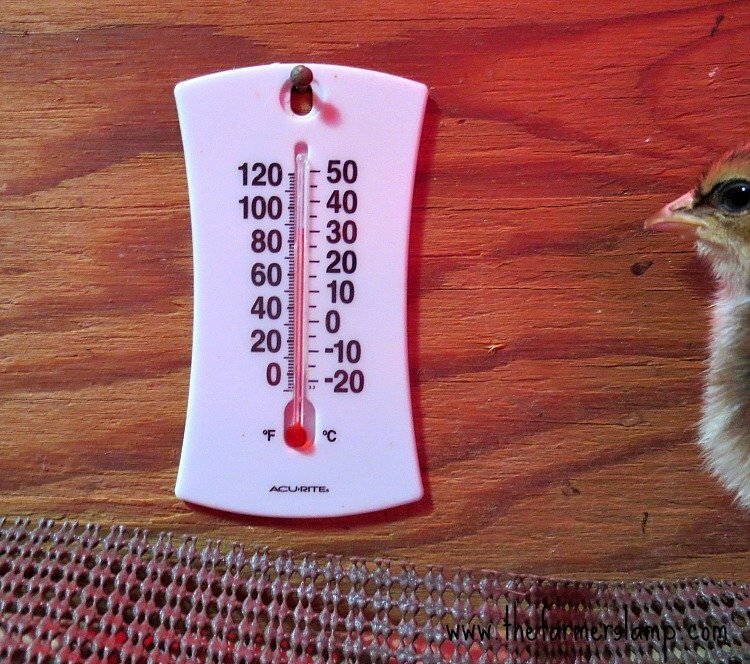 After about a week, you can judge the temperature by the chicks. If they’re cool, they’ll huddle underneath the lamp; if it’s too hot, they’ll be spread out and may also be painting, or they will pile up in the darkest corner. They’ll also give you the precious, “Mother, I need you!” chirp. Don’t worry you’ll recognize it. 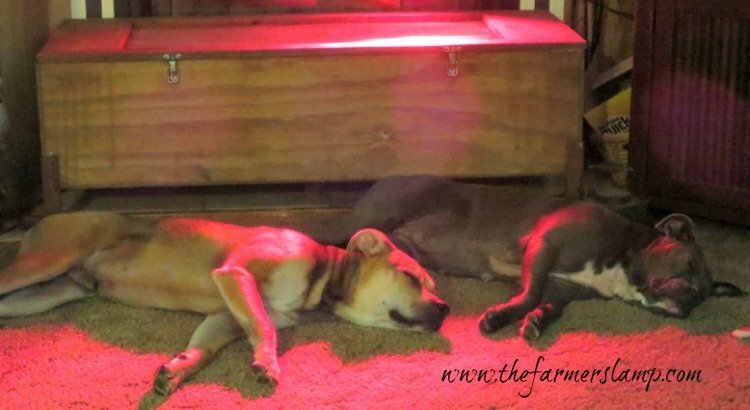 You can raise or lower the temperature by adjusting the closeness of the heat lamp. Remember, you want your area to be draft free. The older your chicks get, the less heat they’ll need. Decrease the temperature by 5° a week with 70°F being your target by the time they’re 6 weeks old. This is the time they’re ready to go outdoors. 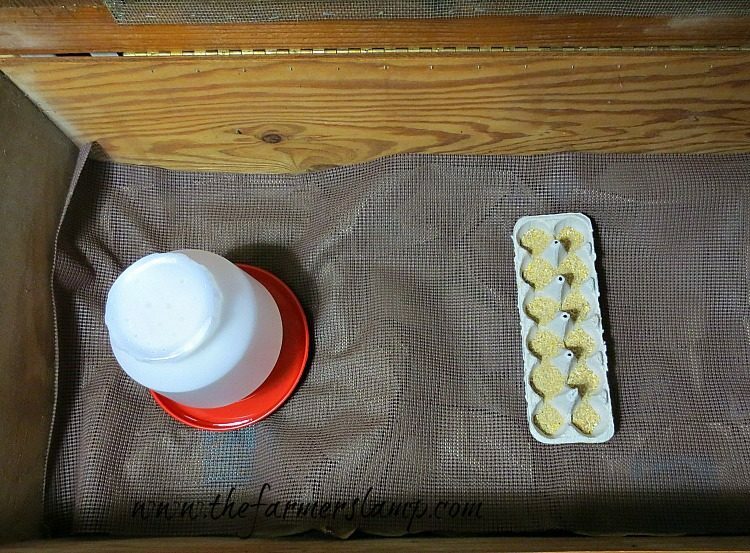 I keep my chicks inside in their brooder the first two weeks. This allows me the opportunity to be sure they are healthy, eating and drinking well, and they come to know I’m the one who provides their food and water. I have enclosed breeding yards in my chicken yard so at three weeks of age they’re moved there. When your chicks first arrive, have their water ready and waiting. 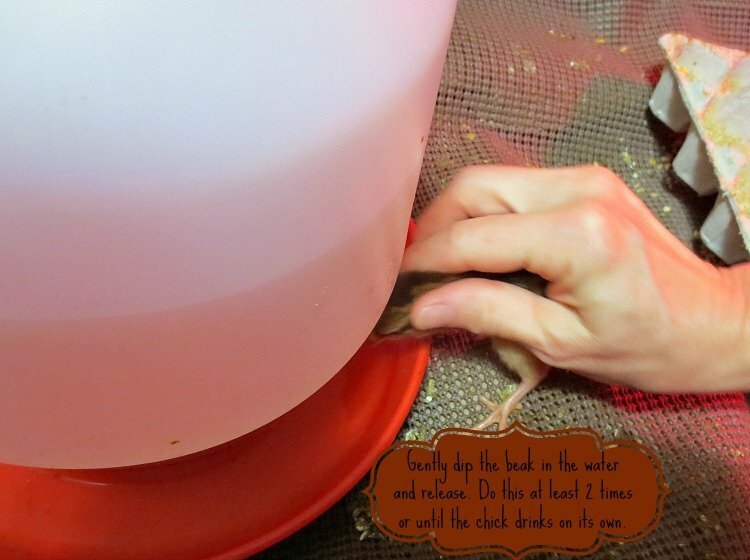 1 gallon of water is sufficient for up to 50 chicks. I add 3 teaspoons of raw, organic apple cider vinegar to their first gallon of water. I do this to boost their energy, their immune systems, and their digestion. Always be sure your chicks have clean, fresh, room temperature water available. Chicks live for three days off of what they ingest from the egg when hatching. Your mail-order chicks may have been hatched up to three days prior so they’ll be ravenously hungry and thirsty. It’s important to have their food ready so they won’t eat their litter in a search of nourishment. They will instinctively peck anything. The first couple of days, I feed them from egg cartons. On day three or four I switch to a trough feeder. This keeps them from scratching the feed out into their litter and scratching their litter for feed. I only fill their feeder half-full to prevent excess waste and to allow for cleaning out the feed which prevents the feed from going stale. It’s important to keep feed constantly available for the first six weeks at least. Remember, a young chick only eats about a thimble’s worth of food a day. There are many people who provide a home grown diet for their chicks. I think this is awesome, but I use an organic, Non-GMO chick starter for the first four weeks then I add supplemental things like scrambled eggs, dairy products, garden scraps, and of course worms. It’s important to keep your chicks in a well-lit area 24 hours a day for the first week. Too little light can cause chicks to stress and pick at each other. Chicks will often pick each other when they are too hot, don’t have enough room, or don’t have enough fresh air. 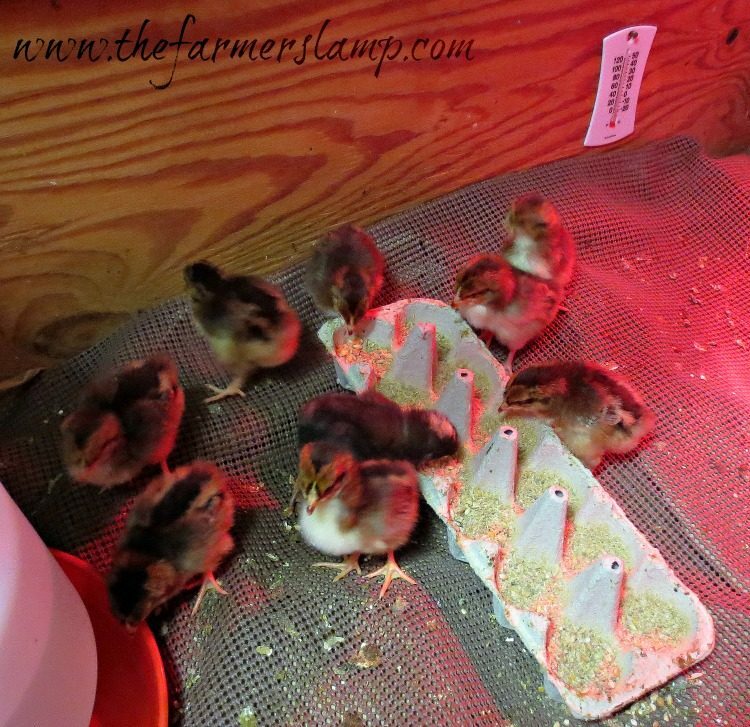 During the second week, I turn the light off for increasing increments of time so that when the chicks go outside and experience the nighttime they won’t be frightened and injure each other. The infrared heat lamp serves as light and also helps alleviate picking. It’s important to provide good flooring for your chicks as they are quite vulnerable to developing spraddle leg. This is a condition chicks often develop from being on slippery flooring before their leg cartilage hardens. Newspaper and straw are said to be the most slippery surfaces for chicks. 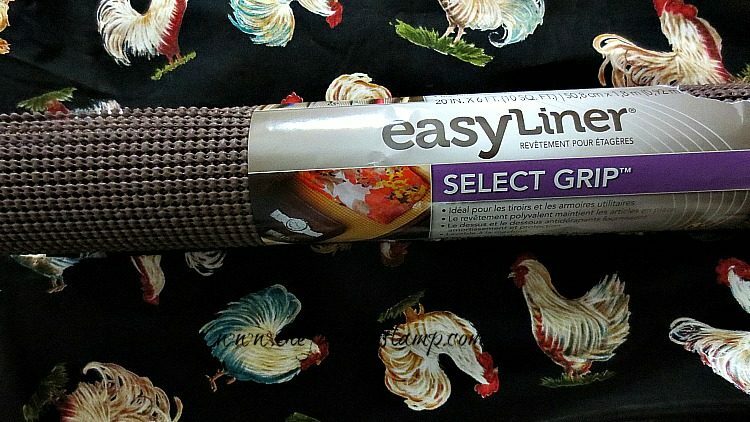 Litter options include burlap sacks, clean rags made from discarded clothing (be sure there are no loose threads that could cause your chick to be strangled or crippled), or loose litter. A good rule of thumb is to be sure the litter is too big to fit into the chicks mouth to prevent an impacted crop or gizzard. My favorite way of providing litter is to shred and/or wad brown paper bags and cover that with non-skid rubber shelving paper. It’s really easy to change, just roll it up, roll out a fresh pre-cut piece, spray the dirty one off with a hose, and let it dry for the next change. Depending on how dirty it gets, change out the brown paper at least weekly. So we’ve covered the basics. Now you’ve got everything ready and Yay! You’re chicks arrive! The first thing you want to do is check your birds to be sure everyone has arrived safely. Depending on your hatchery’s policies, you’ll need to let them know of any dead or injured chicks. Remove the chicks one by one and dip its beak into the water. After the first or second dip you will see the chick tilt his head back and swallow. Show them their food after everyone is drinking. Keep a close eye on them the first few hours to be sure that everyone is warm, alert, and knows where their water and food are. For your mail order chicks, you should start offering baby grit or very fine sand lightly sprinkled over their food on the fourth day. Be careful not to use too much because they’ll fill up on it and not their food. Some people don’t give their chicks grit because they’re feeding them starter. I don’t add it every time, but I do add it every other day or so because I feel it’s best for them since they don’t have a mother to teach them healthy habits. I’m often asked about the best way to order chicks. I’ve always had great success with McMurray Hatchery and can wholeheartedly recommend them. I would, however, say it’s best to order from a hatchery close to you which you trust. This cuts down on the shipping time and stress for the chicks. If I had to order chicks when we lived in west central Louisiana, I tried to be sure they arrived from May to July. I did this because our outdoor temperatures never dipped below 70 and were in the upper 90’s by then. Now that we’re in the Idaho Panhandle, I’ll adjust my ordering time accordingly if I order chicks. It’s best to not have chicks shipped when the weather is hot because this makes shipment stress even harder on them. I prefer allowing my hens to hatch instead of mail order, but things happen and sometimes we have to order chicks. The best way, I believe, is to order through your local farm supply store. Here’s my reason: When you order from the hatchery for shipment directly to your home, the chicks are boxed and sent through the mail carrier where they will change trucks several times. In this process, they’re handled by many different people. Some people are thoughtless of the life inside, some people are busy and don’t stop to think they’re handling fragile life, and yes, some are kind and thoughtful. I’ve had chicks arrive with the box open because people were peeking at or touching them. It’s risky for the chicks. When you order through your local farm supply, the chicks are loaded directly onto a truck and delivered to the store. Then you pick them up. The store buys in bulk from the hatchery which delivers straight to them. This means there’s plenty of warmth and only a couple of handlers causing less stress on the chicks which makes for happier, healthier birds. Shipment stress can kill the chicks so anything to cut down on this is emotionally and financially beneficial. Do you have more tips and experience to share with us? Please comment below. The Farmer’s Lamp offers more information about feeding and caring for your poultry flocks here.